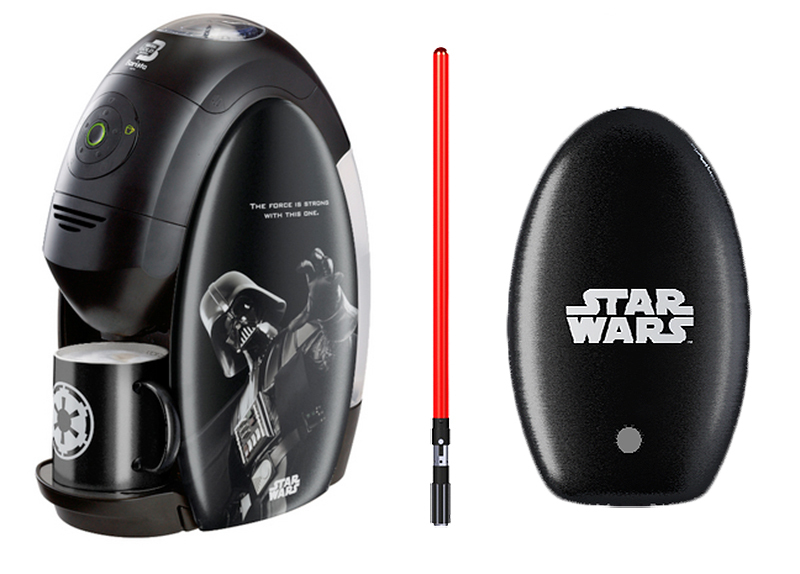 If It's Hip, It's Here (Archives): Star Wars X Nestle Coffee Machines Complete With Light Saber Stirrers and Mugs. 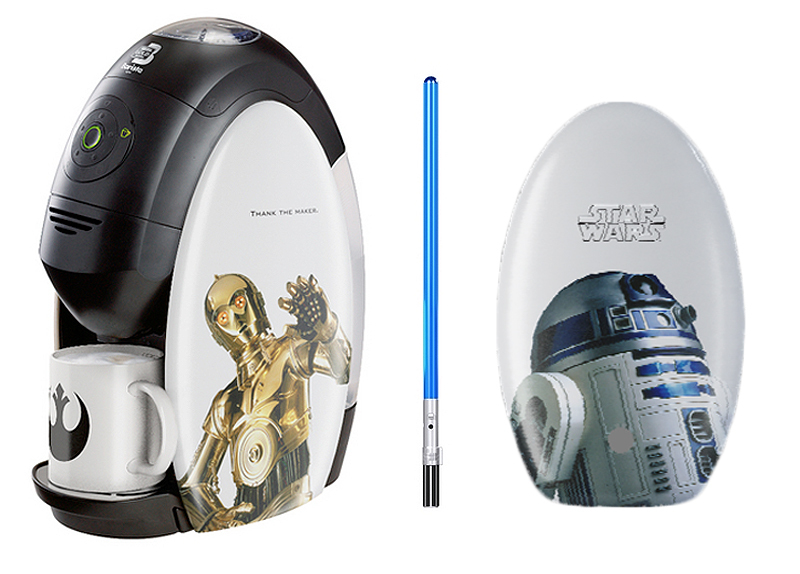 Star Wars X Nestle Coffee Machines Complete With Light Saber Stirrers and Mugs. 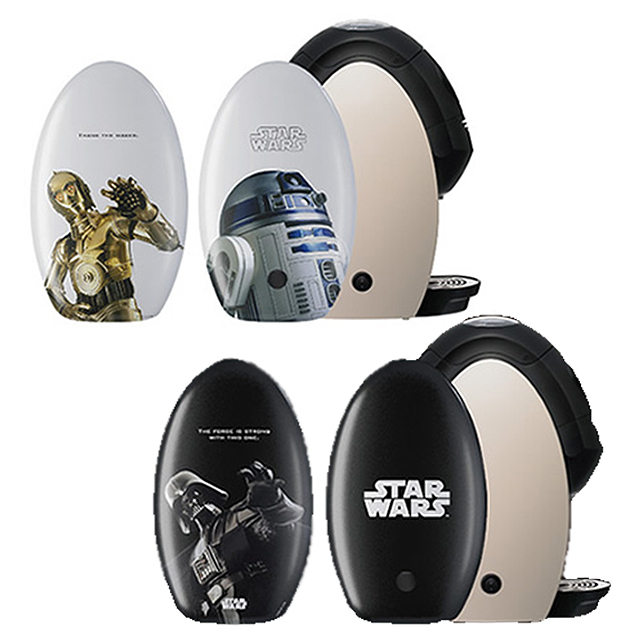 The Official Star Wars branded versions of products released in Japan just keep coming. After a line of eyewear and watches, now we move to the kitchen with tabletop coffee makers. 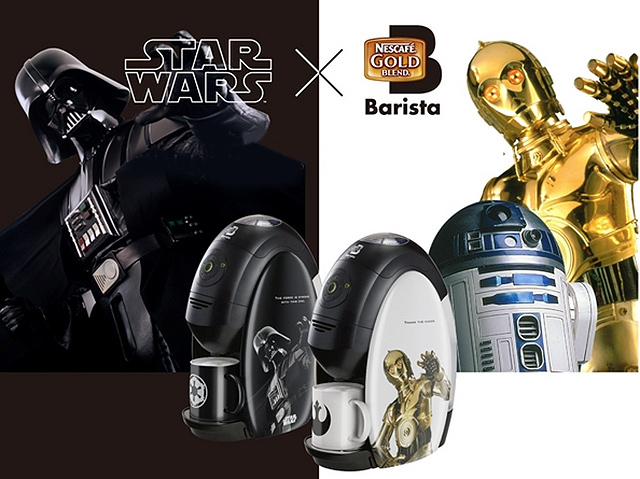 Nestle Japan has collaborated with Lucas Films to release two Star Wars models of their Gold Blend Barista Machines. 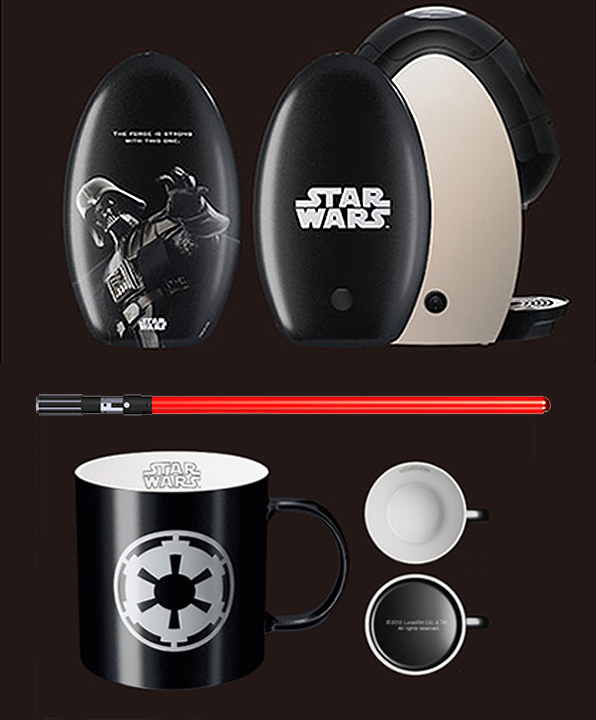 The limited edition tabletop coffeemakers come in two styles, each complete with light up light saber stirrer and porcelain coffee mug with icon. 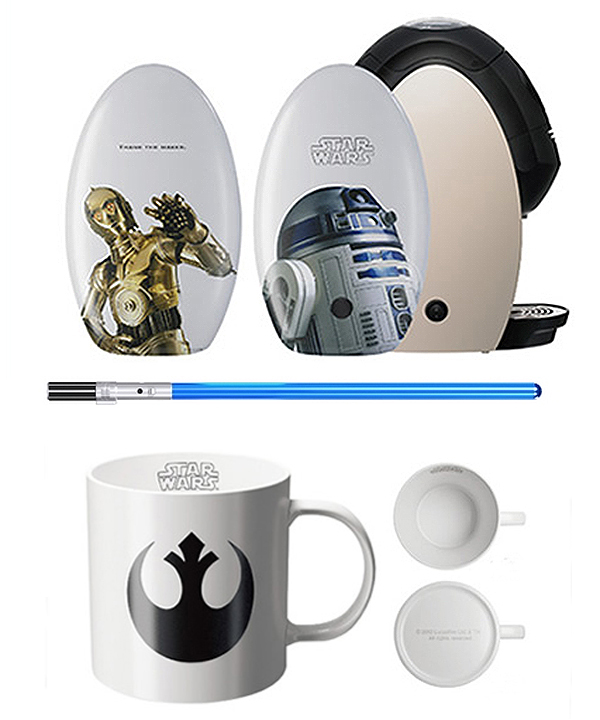 Both CNET and Gizmodo knocked the items as silly Star Wars collaborative products not worthy of the official George Lucas 'stamp' but they also didn't show both side panels or even mention the light saber stirrers which are, frankly, awesome. They can be purchased online here. Or some Japanese sellers already have them on ebay. 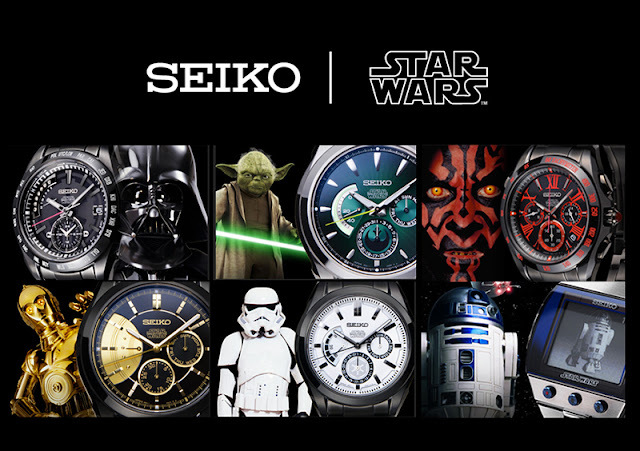 Did you see these other new Star Wars products?